I usually do not mix my EPFL activity and my blog activity. This is one of the rare exceptions. 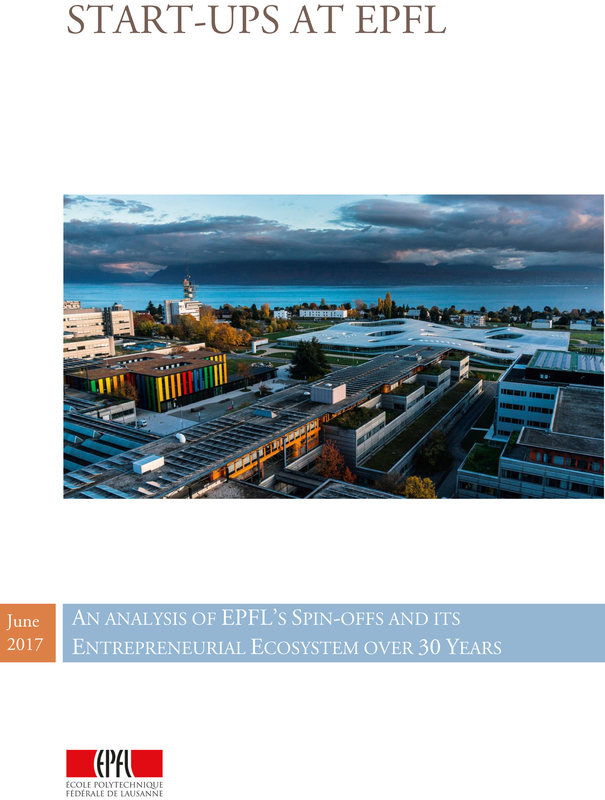 At EPFL’s startup unit, we just published a short report describing EPFL spin-offs. Here is a short link. By the way you can also visit the pages about EPFL’s support to entrepreneurship. This entry was posted in Start-up data and tagged EPFL, Immigrant, Start-up, Switzerland on June 21, 2017 by Hervé Lebret. The self-citation is a delicate exercise but as it does not happen often that I give my point of view in the media, I guess this is acceptable… Newspaper Le Temps asked for my point of view related to the recent acquisitions of EPFL spin-offs. I extract some messages. What worries me is that in Europe, I have never seen the birth of technology companies like Google, Apple or Cisco. – Yes, but [forgetting SAP] there was no big success in Europe in technology in the last fifty years. Microsoft has bought Skype for $8.5 billion and Logitech is worth $2B on the stock market with 6,000 employees. But in the United States, industry heavyweights are valued at over $170 billion and have more than 50,000 employees. There is a difference of a factor ten between the two continents and this has been disturbing me for over twenty-five years. I have doubts and fears about the future of Europe. – How do you explain this difference? – I think this is essentially cultural. A young engineer who listens to her parents will work with Nestlé and Novartis, and then remains there. Americans have parents or grandparents who were immigrants. The tradition of moving is digested and failure is accepted. – What are the risks of such a situation? – If it does not renew, it is the death of Europe. We are almost there, look at France. This is a concern I have for my two children. We must create a Google in Europe for the economy to evolve. Without the presence of a major technology group, innovative start-ups will be systematically acquired by American groups. Yahoo! bought French start-up Kelkoo, Danish Navision now belongs to Microsoft, the Swedish MySQL to Oracle and French ILOG to IBM. For the spin-offs of EPFL, it is the same. Medical imaging company Aïmago was acquired by Novadaq Technologies for $10 million. Sensima Technology, active in the production of magnetic sensors, has been integrated in Monolithic Power Systems (MPS) based in San Jose, California. Only Jilion was bought by the French Dailymotion, which integrated their video technology on their site. And now it’s Intel. And when these companies are acquired, it’s expertise and jobs that may disappear. There is a risk of loss of wealth. The rest of the article is available on Le Temps website. This entry was posted in Silicon Valley and Europe and tagged EPFL, Europe on April 1, 2015 by Hervé Lebret. 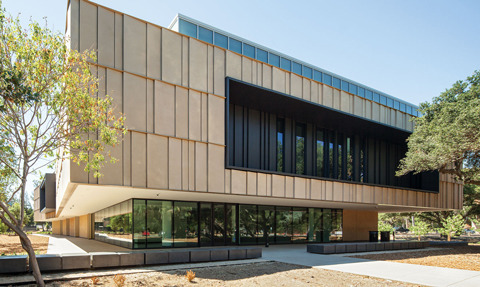 – The President column also said very true things, such as “I’m often asked what sets Stanford apart. The university’s entrepreneurial spirit is certainly a distinguishing characteristic. But there is another vital component: the desire to make the world better for others.” Again one may laugh at this, but I really invite you to read “Optimism Meets Empathy” by John Hennessy. This entry was posted in Must watch or read, Silicon Valley and Europe and tagged EPFL, Stanford on September 18, 2014 by Hervé Lebret. Sometimes, giving an interview has interesting and strange results. I do not read Korean so I cannot really help! But apparently what was kept from the conversation is that “it is important to make a culture where we are not afraid to fail”. As well as ” Culture is important to propagate entrepreneurship in universities. Even if the (academic) system is very good, it might be far from starting a business without this culture.” I had learnt my name is Russian was Эрве Лебре. Now I know it in Korean: 에레 레브레. And what about my new look according to a Korean photographer… Here is the full article. 스위스 로잔공대 이노베이션파크에서 만난 이노그랜트 프로그램 총괄 책임자 에레 레브레 박사는 “유럽의 대학생들도 한국과 마찬가지로 기업가정신이 부족한 편”이라며 “미국 실리콘밸리처럼 기업가정신이 대학 곳곳으로 퍼질 수 있는 문화를 만들어야 한다”고 강조했다. 이노그랜트는 창업을 원하는 교수나 학생에게 조건 없이 창업자금을 지원하는 프로그램이다. 2005년 스위스의 한 은행이 학교를 위해 내놓은 100만달러를 종잣돈으로 삼아 만들어졌다. 레브레 박사는 “로잔공대에는 기술사업화와 창업을 지원하는 다양한 프로그램이 있었지만 `스타트업`을 중점적으로 돕는 프로그램이 필요하다고 판단했다”며 “이노그랜트 프로그램을 만든 뒤 지난 7년간 56개 아이디어에 자금을 지원했고, 이를 통해 25개 새로운 회사가 탄생했다”고 밝혔다. 이노그랜트 펀딩의 대상자가 되면 교수와 학생을 구분하지 않고 1년간 창업에만 열중할 수 있다. 창업에 실패한다고 하더라도 받은 돈을 학교에 반납할 필요가 없다. 레브레 박사는 “이노그랜트의 펀딩을 받으면 연구나 수업에서 제외된다”며 “1년간 생활자금을 지원해 주기 때문에 돈 걱정 없이 창업 준비에만 신경을 쓰게 된다”고 했다. 이 같은 혜택에 힘입어 이노그랜트 프로그램에 창업을 하겠다며 지원하는 프로젝트는 연간 40~50건에 달한다. The EPFL is a unique place of innovation and competence. The EPFL handles innovation through its VPIV. The VPIV is responsible for the technology transfer, supporting start-ups through the Innogrants program and the coordination of all relationships between industry and EPFL. The EPFL turned out 156 new companies between 2000 and 2012. Hervé Lebret, the manager of the Innogrants said “Even if there was a best system, startups are still far-off without culture. It’s about culture. Just like Silicon Valley, we have to make a culture which can spread the entrepreneurship throughout the university.” The Innogrants were created by the EPFL in 2005 to encourage the entrepreneurial spirit and support start-ups. To date, 56 ideas were funded which enabled the creation of 25 start-ups. An Innogrant is a 12-month salary for the project owner in an EPFL laboratory and the beneficiary is freed of teaching or research activities so that the project owner fully concentrates on that project. This entry was posted in Innovation and tagged EPFL, Innovation, Switzerland on July 18, 2013 by Hervé Lebret. Here is my seventh contribution to EPFL’s start-up of the month. It is about medtech and specifically KB medical. It’s also about the Swiss innovation ecosystem. KB Medical, a new start-up in the world of medical technology, just announced that its fundraising effort raised 4 million Swiss francs. The news is surprising in more ways than one. KB was founded on October 4, 2012, and the fundraising announced on October 29. It is rare for a start-up to launch with initial funding without having to go through the agonies of surviving in our ecosystem that subsists on subsidies. What’s more, this start-ups is active in an area in which private funding is less common than with the Internet and biotechnology. These apparent surprises are, however, misleading. Szymon Kostrzewski and Philippe Bérard (the K and B of KB Medical) have been pursuing their research for years in the Biorobotics Laboratory at EPFL. They were supported by an Innogrant. Furthermore, they also received a boost from the Liechti Foundation and were winners of the National Venture 2012. Also, Szymon spent time in Boston as the winner of VentureLeaders. Therefore, the research upstream has been discreet but effective. There is probably a lesson to this announcement: there is no point in creating a start-up prematurely if it is not necessary. Perhaps more importantly, the Lake Geneva region is fertile for medical technology research from the fields of micro-technologies and robotics. The famous Delta Robot is from the same laboratory of Professor Clavel. More recently, start-ups such as Endoart, Sensimed, and Aleva Neurotherapeutics succeeded at raising significant capital. And even more recently, DistalMotion from Ricardo Beira and StereoTools from Remi Charrier were launched through the support of their laboratory plus an Innogrant. These three young start-ups are distinctive for their use of extreme mechanical precision to improve the performance of delicate surgical procedures. We often speak of engineering for local technology clusters. In the footsteps of the watch industry, the substance of SMEs specializing in medical technology was created in Switzerland. Today start-ups enrich what could resemble a Medical Valley, in the shadow of pharmaceutical giants such as Roche and Novartis and under the friendly gaze of Medtronic and Johnson and Johnson (J&J). On the Board of KB Medical, one finds Malgosia Iwankowska who worked at J&J, Medtronic, and Sensimed. This is a technology cluster, but even more, it is human talent and a network of connections that develops and grows over the course of years. This Swiss tradition of precision quality and bespoke, however, is widely recognized, and that somewhat demystifies the intrigue of KB Medical’s remarkable news. This entry was posted in Start-up data and tagged EPFL, Start-up of the month, Switzerland on January 16, 2013 by Hervé Lebret. As much for my personal archive (a blog is a second brain! ), as for you, the reader, the Swiss-German TV broadcast, “ECO” (the weekly economic magazine on SF1), talked about French-speaking Swiss start-ups at EPFL. The web link is Start-up-Paradies Waadtland. This entry was posted in Innovation and tagged EPFL, Switzerland on November 20, 2012 by Hervé Lebret. 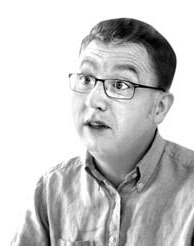 29.10.12 – Industrial or financial? For a start-up, the choice of an investor is crucial. Pix4D and senseFly, young offshoots of EPFL, provide a recent example of this dilemma. We turn our attention to EPFL start-ups following two general stories in the entrepreneurial world. This month it is a question of not one but two young offshoots. Sensefly and Pix4D made headlines at EPFL this summer. It is indeed rare that an investor announces in one day the investment of capital in two of our start-ups. What’s more, the growing number of corporate investors in relation to venture capital investors represents an interesting trend. SenseFly came out of the laboratory of Dario Floreano. You may have noticed these small airplanes crossing the skies over EPFL, as well as the start-up founders who pilot them remotely. A few years ago, I was impressed by these strange flying machines that automatically avoid obstacles. Pix4D is a spin-off from the laboratory of Pascal Fua, a specialist in image processing. They produce no equipment. Instead, they devised a method for constructing 3D images from disparate two-dimensional shots. The investor is Parrot, which I had wrote about earlier this year: Parrot and Henri Seydoux, a French success. This French company of around 700 employees shows an annual revenue of around 250 million euros. Created in 1994, it went public in Paris in 2006. After its initial launch in voice recognition and hands-free kits for cars, its founder and CEO Henri Seydoux saw the need to diversify its activities. He bought a multitude of start-ups in fields connected to the heart of his business: wireless telecommunications, image processing, games, sensors. On their own, senseFly and Pix4D began collaborating at the beginning of this year, and Parrot found a synergy with both companies. Given that, the announcement of the simultaneous investments makes perfect sense. I don’t know if the heads of Pix4D and Sensefly deliberately selected a manufacturing partner over a financial one. In any case, this decision is far from easy. All founders have to weigh the options when looking for an investor. A financier has only a return on the investment on the brain, and often over a short-term. A corporate investor thinks more strategically, but at the risk of being more selfish. In contrast to a financier, the corporate investor generally does not want to see partners working with the competition. The consequences of this choice, therefore, are critical to the development of the start-up. The good news is that start-ups in recent years seem to receive more funding in their early stages, without having to wait for revenues and clients to prove their potential. It is even more exceptional that through collaborating, two EPFL start-ups improved their commercial potential. This entry was posted in Start-up data and tagged EPFL, Start-up of the month on October 30, 2012 by Hervé Lebret. 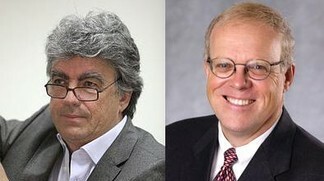 To show you that that has been understood at the top of the best universities, both the President of Stanford University and the President of EPFL have been entrepreneurs, they have been the founders of 3 start-ups each. I will offer a bottle of champagne to the first student who sends me via email the names of these 6 companies. I am Herve Lebret and I support entrepreneurs at EPFL. The answer may be found here, and more importantly, I will come back on Risto Siilasmaa’s talk – the chairman of Nokia. This entry was posted in Silicon Valley and Europe, Start-up data and tagged EPFL, Europe, Stanford on September 17, 2012 by Hervé Lebret. It is in discovering the Parrot investment in two EPFL start-ups, senseFly and Pix4D, that I was reminded a start-up which recent success I did not know. I am sometimes very much disconnected! I had indeed met its founder, Henri Seydoux, in one of these start-up conferences that were popular in the late 90s. The start-up had already received support from Sofinnova, but it was less than 5 years old and was far from its € 250 million turnover achieved in 2011 and its 700 employees it has hired since! As usual, I could not help but get its IPO filing document, and also some older material on the French register of commerce, which allowed me to build the following capitalization table. 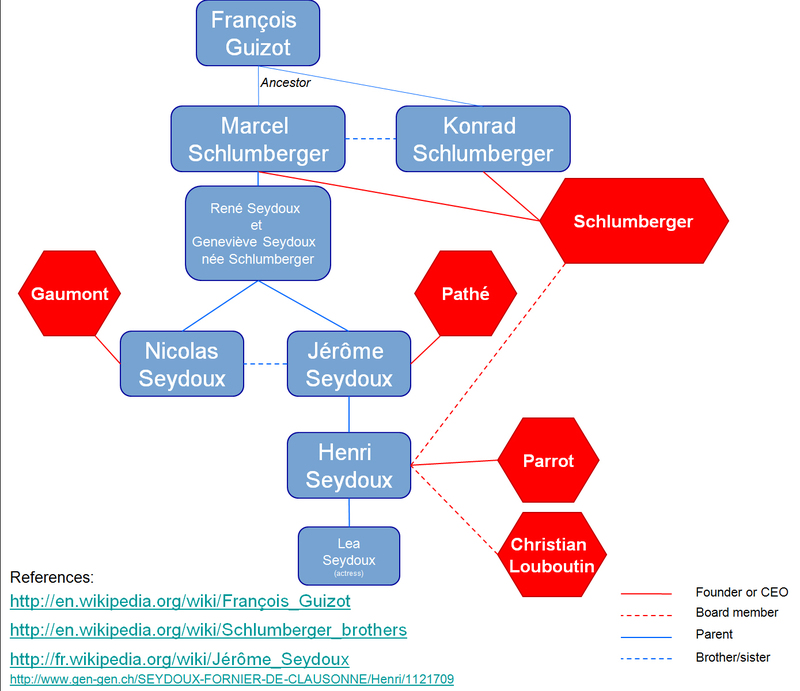 Finally, I also wanted to try to learn more about Henri Seydoux, intrigued by a fairly famous family name in France … this work is probably closer to the tabloids than this blog but hey, I find the genealogy interesting! 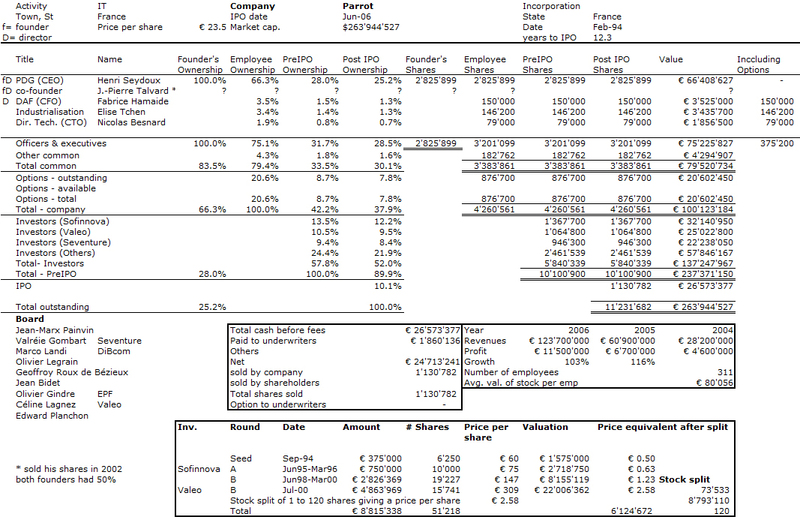 This entry was posted in Start-up data and tagged EPFL, Equity on August 10, 2012 by Hervé Lebret.